Alamo Victory is a completely Free rewards program join! No fees! Never park at the $10 parking lots —- Check the parking tips on Alamo’s website before you come for free parking! Make sure you get the parking ticket validated at the front desk at the Alamo. Remember to validate parking ticket at Alamo front desk! We strongly suggest you buy your tickets online in advance. You can buy at the door, but it could be sold out. Please let the Alamo staff know how much you appreciate the theater leading the way in providing OPEN Captioning making Kansas City deaf & hard-of-hearing accessible! HLAA-KC Thanks you – Alamo! Disney’s The Lion King has captivated the imagination of audiences around the world and now, MTI and Disney have released a Junior version. We at Trilogy, have the opportunity to produce this one-of-a-kind musical! The African savannah comes to life on our stage with Simba, Rafiki and an unforgettable cast of characters as they journey from Pride Rock to the jungle… and back again, in this fun and inspiring, coming-of-age tale. With all out favorite music including Circle of Life, Hakuna Matata, I Just Can’t Wait To Be King, and more!!! Catherine Pestinger, a former performer at Trilogy, installed OPEN Captioning at this theater for her grandfather who had hearing loss. Her OC project was her initiative for her final Girl Scout Gold Award. She is an inspiration to HLAA-KC’s Metro KC for OPEN Caption LIVE Theater group. We welcome her advocacy in our open captioning goals for KC. Hope to see many here from KC’s deaf and hard of hearing communities and their family and friends! * Online purchase of tickets is only available through Wednesday, October 12th. Tickets will still be available for purchase after the 12th, over the phone and in our office, or at each show. All tickets purchased after the 12th are sold “at the door” price of $12.00. The jobs available now are data transcription jobs for both day and night shifts. The essential skill associated with the position is typing/data entry/10 key. Paid training and vacation and health care benefits are associated with these jobs. And there are other benefits that are significant and in some cases rare in the KC business world. These are permanent jobs with a seasonal schedule. A person who is hired for one of these jobs, assuming their performance meets the standards, will be called back each year. And by becoming a federal employee the individual will be able to compete for full time permanent jobs at the IRS and at any federal agency. They have a vibrant, large DHOH community here. We have 2 staff interpreters and arrange with contract interpreters to support DHOH people on night shift. Never park at the $10 parking lots —- Check the parking tips on Alamo’s website before you come for free parking! Make sure you get the parking ticket validated at the front desk at the Alamo. On Tuesdays, bring loose chain for the parking meters if you park there. Thank you for your patience while we’ve been working relentlessly to build a better accessibility tool for your daily conversations with Ava. In case you haven’t heard from us or if you have received an email asking for feedback although you haven’t tried it yet – we apologize for that. With Ava, we aim to give you audio & visual accessibility, anywhere, anytime. This is an ambitious goal, and the journey will be long! Like with all early technologies, there will be disappointments, and things will break. You’ll explore new situations, and together, we’ll invent ways to better face them. Ask others to try Ava with you. It can be daring, but we’ll be there for you. Only together we can drive forward a true, total, 24/7 accessible world, for us and 400 million people who deserve it. Ready to join us? This is your invitation to download Ava on your phone and join us. I’m ready! How do I start? Super simple! Go ahead and download Ava below by clicking on the ‘Get Ava on your phone’ button on your mobile device. Once you create your account on the app, you’ll be able to invite as many peers as you’d like from the app itself. Once Ava is on their phones thanks to your invitation, you’ll be able to connect and have conversations on Ava, anytime, anywhere. Wanna use Ava like a pro? 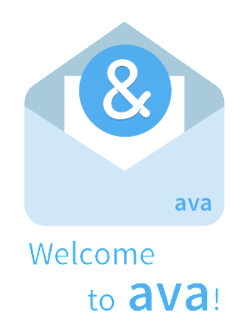 Here’s a welcome guide for you and people would you invite to make the most of Ava. Please check out our FAQ page to answer any questions you may have. Remember, you can use Ava as much as you want from today on. So 24/7 conversation captioning for you and hearing friends, family members, coworkers, right now. The cost is on us. After our public launch, we’ll give you a heads up about the subscription plans. 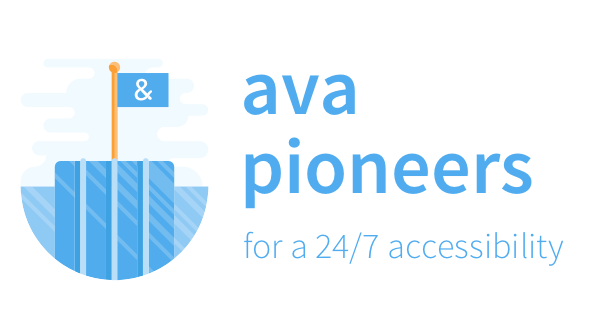 We can’t wait to learn all about your Ava experiences! Just hit reply or chat with us within the app! HLAAKC met the AVA Founders in St Louis 2015 and Washington DC June 2016! Get ready for their launch. On September 5th, Ava will be free to download for anyone with an Android or iPhone. This means that your chapter members will be among the first people to get the opportunity to install the app (free of charge) on their own mobile device. If you haven’t heard about Ava yet (check our website here), it’s a mobile application to empower deaf or hard of hearing people in group conversations. The app pairs smartphones in a room and captures the conversation to show a real time, color coded transcript of the discussion. In other words, you obtain real time captioning on your smartphone! Ava is made to give you audio & visual accessibility, anywhere, anytime. This means that your next Christmas or Thanksgiving dinner doesn’t have to be a hassle anymore. It means that you can speak with your son, daughter, or maybe your grandchild, without missing all the details. You might have seen us at the HLAA convention in DC this year or in St. Louis a year ago? Or perhaps you’ve heard about us through your local chapter? We are proud and very thankful to the fellow HLAA members and leaders who have believed in us since the early days, and have become true Ava pioneers. You and your chapter members can be the next people to join the movement, by trying the app and advocating for a future with 24/7 accessibility! Are you and your chapter ready to become pioneers? 1) First, save the date. On September 5th, you can download the app for free on the App and Play store. Make sure you mark this date in your calendar. 2) Inform the people around you. If you are a chapter representative or leader, we prepared an announcement message that you can share with your chapter members, or include in your monthly newsletter. This message can be found at the bottom of this email. You can also send the message or forward this email to anyone you know who would be interested in learning about Ava. 3) Get priority, by visiting our website (www.ava.me) and leaving your email. We will invite you to our pioneer program directly, and you’ll be the first to know about any updates. We look forward to launching Ava together with you! The Ava team has announced that their app will become available for anyone to download on September 5th, 2016. On this date you will be able to directly download it from the App & Play store and use it as much as you like, without any charge. If you haven’t heard about Ava yet, it’s and app that pairs smartphones in a room and captures the conversation to show a real time, color coded transcript of the discussion. In other words, you obtain real time captioning on your smartphone! Leaving your e-mail address in the assigned box. If you’d like to get in touch with the Ava team directly, please send inquiries to team@ava.me. We took a summer break! The weather is cooler and families have stocked up on school supplies. That must mean September is around the corner full of activities to celebrate Deaf Awareness Week. Please join HLAAKC in celebrating on Saturday, Sept 24th. That Saturday is our day to entertain. Come visit with others at our ICE CREAM SOCIAL, EXHIBIT & FUNDRAISER. We accepting volunteers for the event. We also hope to have an AMC OC movie event on Saturday and Alamo will have OC movie on Sunday, the 25th. The good folks at the HLAA headquarters are working hard for us. See This Week in Bethesda. Also, sign up for the free, online HLAA e-News. It is published twice a month with one issue focusing on HLAA advocacy work (“HLAA in Action”) and one on general news. Hearing Health Professionals reading this, please tell your clients about HLAA-KC! 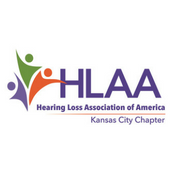 You are our first connection to finding people who can learn about HLAA – Kansas City Chapter. After you have prepared your clients to go home with their new listening devices, let them know we are here to support, educate, advocate, provide information and network for those with hearing loss, their families and friends. If you need some business cards for your office, please let us know by replying to this email. We have so much to share with your clients. HLAA-KC Committee is in need for two more committee members. We also would appreciate if there is any graphic artists that could volunteer for a nominal fee. No experience needed to be a committee member. If you have any questions and looking for a way to share some of your skills, please contact us at hlaakc@gmail.com. We are switching from picnic in spring to Ice Cream Social during Deaf Awareness Week with all the familiar fun of sponsors/vendors and our popular lucky drawings for our fundraiser! We also won’t be at the park, but at the Olathe Community Center. If you get lost, the Community Center’s phone number is 913-971-8563. Another plus of this day is an Open Caption movie at AMC before or after this event. AMC movie title and time TBD. The ice cream social is FREE, however, participants are welcome to optionally purchase a day pass for $7 (Olathe resident) or $8 (non-plate resident) for use before during or after the event. Passes include access to all amenities including the aquatics area (leisure pool with zero depth entry, lazy river, 25-yard lap lanes, hot tub, rock climbing walls with four waterfalls and diving platforms, two water slides). Join us to socialize, network and enjoy ice cream during this event. Please bring your favorite ice cream topping (syrup, fudge, sprinkles, etc) or accessory (cake, brownies, fruit, etc) to share. We supply the ice cream and bottled water. And for every purchase of Ferro’s Gourmet popcorn we earn a small percentage for our fundraiser. We will have a Sign Up Genius to ask for volunteers and anything else we might need. Watch for that on hlaakc.com and facebook.com/hlaakc. If interested in becoming a sponsor or vendor, please email hlaakc@gmail.com for more information by Sept. 9th. Please include your company’s name, service/product and contact information. Note: You must be present to host a booth. Vendor booths are still at our low price. Booths will be reserved on a first-come, first-served basis and will be assigned. We will be holding a raffle to raise money for our chapter. Would you consider donating a product or small service to our raffle? Ideas include but certainly are not limited to: hearing aid accessories, a free hearing test, hearing assistance accessories (such as a vibrating alarm clock, doorbell flasher, etc), gift certificate to an assistive listening devices vendor, gift basket, passes to live theater or movies where either closed or open captions are available, restaurant gift certificates, etc. The possibilities are endless! If you are interested in donating an item(s) for our raffle, please send email to hlaakc@gmail.com. Please include your name, service/product and contact information. Please note that you do not have to be present at the picnic in order to donate a raffle item. Please share our petition to educate public businesses to turn on the TV captions now in Kansas because we care about accommodating people with hearing loss! We have 138 supporters who have signed. Won’t you share this with others and help us reach 200! Metro KC MO area businesses are also encouraged to participate to turn on their TV captions. 1 in 5 people or 48 million (20%) of Americans have some degree of hearing loss making it a public health issue third in line after heart disease and arthritis. People with this invisible disability may be in denial, inherited at birth, late deafened with progressive loss, or sudden loss from an accident or returning veterans. Captions also improve literacy. Access to information is a basic civil right. Thank you for all your help in playing this forward! Alamo Drafthouse KC runs OC movie every Sunday afternoon and every Tuesday afternoon. There has been some Tuesdays combined with Baby Day so deaf/hoh parents can bring their infants to enjoy (OC) with house lights up to help look in the baby bag for items and the sound is lowered. Check it out while enjoying food/beverage ordered from your seat. No hassles of leaving to get popcorn refills. Download ‘Alamo” from the Play Store or iTunes. Set the LOCATION to “Main Street” and EXPERIENCE filter to “OC”. Then you can flip through the scheduled OC movies EVERY Sunday afternoon AND EVERY Tuesday afternoon. Download ‘AMC Theatres” from the Play Store or iTunes. Watch for OC movies on Saturday afternoon AND EVERY Tuesday afternoon. AMC Theatres is introducing open captioning on some Saturday afternoons and soon a weekday (not Tuesdays), but will find a different weekday afternoon. They will also be trying to show (OC) at AMC two locations. One location will be AMC Olathe 28. The other location is to be determined, Independence or at BarryWoods. AMC often runs surveys to find out what titles you would like to see in (OC) . Please “Like” our Facebook for future (OC) surveys and (OC) event details. PLEASE NOTE: AMC cancelled the OC movies scheduled for Saturday, Sept 27th Due to an unexpected incident. The General Manager been out of the office since Monday through Thursday and unfortunately this will cause a delay in the planned event Sept 27th. AMC is very sorry for the short notice and are discussing a potential alternative for the foreseeable future. Sometimes we post (OC) movies on hlaakc.com. We try to inform you how to use the movie theater’s mobile apps to look for (OC) movies. Alamo’s app is searchable for (OC) by changing the Experience filter to OC, however, Alamo’s website is not searchable for OC. AMC’s app and website are not searchable for only (OC) movies. If you would like to advocate for movie theaters to change so we can search for (OC) movies, please consider messaging them on their Facebook pages. See example of how to advocate. VISIT the HLAA-KC’s Facebook Closed Group!!! Don’t miss out and be involved! Missing out on LIVE theater because there is no captioning? Please join our new Facebook group and share and Invite your friends to our new page! Deaf/Hard-of-Hearing/Hearing Advocates for OC in Metro KC LIVE Theaters. Advocating can be writing emails (preferred method), phone calls or visiting a LIVE Theater in person or with a group. No membership required. No experience needed. No need to be a resident of KS or MO. Open to all states. While you are at our new Facebook closed group, check out the first post pinned at the top. Open it all the way up to read how the group works. Then open up the DESCRIPTION on the right to read about our mission. Joining our new Facebook group is great, but does not let us know you want to advocate for OC. If you would like to join our mission, please sign-up to help advocate at(see link above). After HLAA-KC committee receives your sign-up from we will inform you how to advocate, answer your questions and discuss where you would like to advocate! Catherine Pestinger, a former performer at Trilogy, installed OPEN Captioning at this theater for her grandfather who had hearing loss. Her OC project was her initiative for her final Girl Scout Gold Award. She is an inspiration to HLAA-KC’s Metro KC for OPEN Caption LIVE Theater group. We welcome her advocacy in our captioning goals for KC. Mark your calendar! Trilogy Cultural Arts Centre is producing TWO great shows this fall! BOTH with an open caption performance! The open captioned performances are the Saturday show at 2pm for both shows! First is Lion King Jr. being performed in October on the 13th through the 15th! Second is Les Misérables school edition. The performances will be November 10th through the 12th! Contact Trilogy Cultural Arts Centre at 913-254-4444 or online at info@trilogyculturalarts.org. See you this fall! We are excited to offer FREE sign language classes again! Please consider signing up AND please spread the word to your family and friends. The classes are free but students need RSVP by contacting Carol Cox, class coordinator, by email to coxjc2@gmail.com. We must have a minimum of ten students to offer the classes. My wife, Christie, and I co-teach both sets of classes. I am Deaf with over 15 years of experience with ASL instruction in a variety of settings. Christie is a certified interpreter. We have been teaching these set of classes at OPCC since Summer 2015. This introductory class focuses on basic vocabulary, ASL grammar, and Deaf Culture. Vocabulary lists will be provided with supplementary YouTube videos for at-home practice. Games and activities included. This class is meant for anyone who has a basic knowledge of ASL structure. It expands on vocabulary, grammar usage and Deaf Culture etiquette. Supplementary YoutTube videos, games and activities provided. Please let me know if you have any questions regarding the class structure. Thanks! TWP Deaf and Hard of Hearing Services is hosted a free workshop about Emergency Preparedness. For more information, see below or see the links below. RSVP is required. The Whole Person Are You Ready? Let’s get together for the second annual MCDHH Deaf Awareness Day at “The K” sponsored by MCDHH & Able Hands Interpreting Services! First come, first serve! Get your tickets before they run out! Please click on the above link for more details. The Hazards of Driving While Deaf by Katherine Bouton raises awareness of protecting yourself if stopped by police. There has been incidents recently associated with miscommunications between police authorities and D/HH drivers all over the U.S. If you do not have a Visor Card for your car, please do not hesitate and select your state below to start the process. Missouri Commission for the Deaf and Hard of Hearing (MCDHH) is collaborating with law enforcement agency in Missouri and has received the endorsement of the Missouri Sheriff’s Association to produce Visor Communication Cards to increase better understanding and improve communication between Police Officers and the Deaf and Hard of hearing people in Missouri. MCDHH is now releasing the Visor Communication Cards for the Deaf, Oral Deaf and Hard of Hearing. This card can be kept in vehicles and shown to Police officers whenever a Deaf or Hard of Hearing Missourian is stopped on the road. If you would like a Visor Card, please fill out the form here: http://mcdhh.mo.gov/files/VisorCardForm.pdf. Also, please remember, YOU MUST fill out a Deaf Census form available at: http://mcdhh.mo.gov/files/DeafCensusForm.pdf. You may send both forms to us by email or regular snail mail on the address provided on the forms. Please, note that these cards are only available to residents of Missouri. The cards are also available if you do not live in MO, but pay MO property taxes. If you would like to view an ASL video regarding the Visor Communication Card, please click on the link. Kansas Commission for the Deaf and Hard of Hearing (KCDHH) offers a visor card. Please print off this information brochure/application for the Kansas Safety Communication Visor Also please note the address on the application is incorrect as KCDHH moved in May. Please send the forms to KCDHH, 555 S. Kansas Ave., Topeka, KS 66603. You may print this form off and make copies or an individual can contact KCDHH for information. If you have not considered becoming a member, now is a good time to join so you get all the up-to-date information on next year’s International HLAA 2017 Convention in Washington DC. Join us in Salt Lake City, Utah, June 22 – 25, 2017! Stay tuned for more information. Last June, HLAA was honored to host the Congress of the International Federation of Hard of Hearing People (IFHOH). There was over 20 different countries in attendance. Stay tuned to this link for updates on registering for the HLAA 2017 Convention. HLAA membership gives you discounted registration for the HLAA Convention. Sign up for the FREE online HLAA e-News at hearingloss.org and find out how HLAA fights for your rights in addition to all the breaking news important to you. When you join HLAA, you automatically become a member of HLAA-KC. Get involved in your Kansas City Chapter as the number of memberships shows accountability of how many are supporting advocacy to make Kansas City more deaf & hard-of-hearing accessible and gives national HLAA a membership count when they advocate for things like insurance coverage for hearing aids! 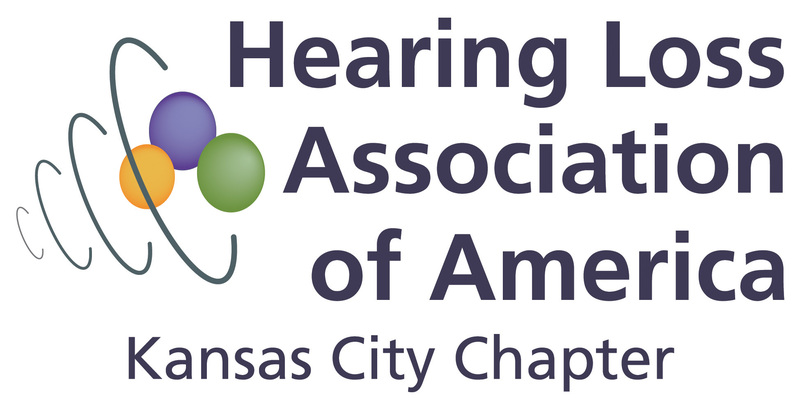 Search for “Hearing Loss Association of America – Kansas City Unified Membership” in this e-News to learn how to join today or give membership as a gift to someone you love. Sign up for the free, online HLAA e-News. It is published twice a month with one issue focusing on HLAA advocacy work (“HLAA in Action”) and one on general news. or visit www.hearingloss.org/content/join and use your credit card online (this is a secure website) and place their “Kansas City” in the box provided. Do you have ideas for topics you would like to have covered? Suggestions for a location for informal social meet-ups? Maybe your favorite coffee house? We’re always looking for new event ideas. Interested in volunteering a little or more often? Interested in helping with presentations or be on our committee? Contact a committee member or email us at hlaakc@gmail.com. Mention of goods or services in advertisements does not imply Hearing Loss Association of America endorsement, nor should exclusion suggest disapproval. We hope you had fun and safe summer! We hope to see you soon at an upcoming local HLAAKC event! If you wish to be removed from this mailing list, please reply with “UNSUBSCRIBE” in the Subject Line. Saturday, September 24th. 1-3:30 PM. Join us to socialize, network and enjoy ice cream during this event. Please bring your favorite ice cream topping (syrup, fudge, sprinkles, etc) or accessory (cake, brownies, fruit, etc) to share. We supply the ice cream and bottled water. And for every purchase of Ferro’s Gourment popcorn we earn a small percentage for our fundraiser. We will have a Sign Up Genius to ask for volunteers and anything else we might need. We will post that here when it is ready. The Hearing Loss Association of America (HLAA) is a tax-exempt, charitable organization and is eligible to receive tax deductible contributions under the IRS Code 501(c)(3). Contributions to HLAAKC are tax deductible. HLAAKC tax id number is #27-1034808. Please let us know if you need a tax deductible donation form. We are proud to be partners with you as we seek to serve the needs of those in Kansas City who live with hearing loss! Update: ‘The Space Between Us’ release date originally was for Aug. It has been rescheduled to release in Dec 2016, so we are surveying for a new movie title to replace ‘The Space Between Us’ to show on Sat., Aug 27th. AMC plans to show two movies with the most votes at two different locations at two different times on Sat., Aug 27th! Movie with most votes will play at Olathe AMC. The movie with second most votes will play at Barrywoods or Independence AMC. The only exception to this is if the movie didn’t come with OC or the OC is not working when AMC pre-tests the captioning. Please keep in mind Ben-Hur is already playing at Alamo Drafthouse on Sun, 08/21 4:45pm and Tues 08/23 6:30pm. Please see HLAA-KC Facebook for Alamo event information. AMC wants to know your preference of movies, location and time of day. Survey will be reviewed by AMC on Monday. Movie schedule will be announced shortly afterwards. Please take the survey if you can attend a movie on Saturday, Aug 27th and submit only one survey per household. Thank you for your help and see you at the movies! Thank you for your help and see you at the movies! *** FREE when you mention “Hearing Loss Association of America – Kansas City” to the Guest Services Desk. If you do not use voice, write it on a paper, print this or type it on your phone screen to show Guest Services. Limit: FIRST COME, FIRST SERVE to first 98 people. No chance of getting a bigger auditorium. Arrive between 1:50 – 1:55 and bypass the box office and come directly to the Guest Services desk where they will tell us which auditorium we will be going to. The movie start time is 2:20pm. This show is NOT offered to the public to purchase seats. The 98 Free seats are only for those that mention Hearing Loss Association of America – Kansas City. Tickets will not be handed out for this show. You will not be able to reserve reserve online or pick up tickets in advance. The only way to get in is to mention “Hearing Loss Association of America – Kansas City” at the Guest Services Desk. If you arrive and all the seats are taken, AMC will not be able to get a larger auditorium. After all 98 seats are taken, you have option to purchase $11.46/adults and $9.82/child tickets for 3D version of same movie playing at 2:30 and use a CaptiView. That’s right – FREE ONLY if you mention our organization! You do not need a special pass or use a free ticket voucher. Good for all in your group! First come, first serve to first 98 people who mention our organization’s name. Please “Like” our Facebook page for future updates on this event and future open captioning events. This is important because we may only have time to post update Facebook.com/HLAAKC. Pete’s Dragon is a 2016 American fantasy adventure film directed by David Lowery from a screenplay written by Lowery and Toby Halbrooks. Produced by Walt Disney Pictures, Pete’s Dragon is a remake of the 1977 film of the same name. The film stars Bryce Dallas Howard, Oakes Fegley, Wes Bentley, Karl Urban, Oona Laurence and Robert Redford. The film is scheduled to be released in the Disney Digital 3-D and RealD 3D formats on August 12, 2016. Park on the west side. Last Saturday the ticket counters on the east side were closed and just better to park on the west side of the parking lot because of construction. “Hearing Loss Association of America – Kansas City”!!!! Take survey only ONE time to tell us how many people in your party or household plan to attend to help AMC reserve correct size auditorium. These seats are also selling to the general public who are not part of our event. Survey has only one question. That’s right – FREE ONLY if you mention our organization! You do not need a special pass or use a free ticket voucher. Good for all in your group! It would be very nice if you would tell us how many you are bringing with you(via survey above) so if we have over 98 people we are prepared ask AMC for bigger room. The current room holds 98 seats and the show is open to sell tickets to the general public + our community. Help us plan and take survey once per household. We are not expecting a ticket URL for advance tickets. Please “Like” our Facebook page for future updates on this event. Expect important message to be posted after 3pm on Thurs, Aug 11th. This is important because we only have time to update our FB page. Park on the west side. Last Saturday the ticket counters on the east side were closed and just better to park on the west side of the parking lot. HLAA-KC’s OC Advocacy committee has been communicating with AMC since February in hopes of restoring Open Caption movies. We are happy to announce AMC is getting ready to accommodate people with hearing loss with 3 upcoming Saturdays of OC movies! Open Caption movies are for everyone, including the general public who do not have hearing loss. HLAA-KC would like people (hearing, deaf, hard of hearing) in Metropolitan KC area to take a survey to help us understand what your preference is on a few issues and size of auditorium we will need. The exact time the movie starts will be determined later, but we will adjust start time to allow people to get to the Royal’s game or get home before the game starts to watch on TV. Please take a few moments to answer each survey once per household & only if you live in the Kansas City Metropolitan area. Each survey has 2 questions. Another week of graduations, weddings and anniversary celebrations? May is our month of having more choices! You can view MONEY MONSTER with Open Captions on two different days at Alamo, this Sunday at 2pm or next Tuesday at 3:50pm. Alamo Victory is a completely Free rewards program. Join Alamo Victory on the Payment page by signing in or create an account. Never park at the $10 parking lots —- Check the parking tips on Alamo’s website before you come for free parking! Make sure you get the parking ticket validated at the front desk at the Alamo. It will be a blast! See you soon! H&R Block (13th and Main) FREE OF CHARGE after 6pm Monday through Friday, after 12pm on Saturday, and all day Sunday! The garage will be also open at those times during Sprint Center Events and offer the same three hour parking option. Remember to validate parking ticket at Alamo front desk! Power & Light Garage (on 13th, between Grand and Walnut) Remember to validate parking ticket at Alamo front desk and the $2 validation is good three hours. Cosentino’s Garage: As you go up Main Street (north) pass Alamo on your left, then pass Cosentino’s on your right, you’ll pass a parking garage exit on the right after that. Take the next right, then another right, and you’ll see the parking garage entrance It says it’s for both events at The Midland and Cosentino’s. Sometimes there’s an attendant and you have to tell them you’re going to Cosentino’s, and they’ll let you in. Other parking on streets: When event parking is in effect there will be an attendant outside the Parking Garage. On these nights, you need to give them the name and showtime of the movie you’re about to see and parking will be FREE. If you do pay the event parking fee and come to the theater to validate, Alamo will not be able to do so. Parking will only be FREE when you tell the attendant that you are going to the Alamo to see a particular movie at the time you park. This event was created by HLAA-KC. Sunday, May 8th 4pm and Tuesday, May 10th 4pm. Too many May parties to attend? Graduations, weddings and anniversary celebrations? May will be our month of having real choices! You can view with Open Captions on two different days at Alamo, this Mother’s Day on Sunday or next Tuesday. Both days at 4pm! Captain America: Civil War is a 2016 American superhero film featuring the Marvel Comics character Captain America, produced by Marvel Studios and distributed by Walt Disney Studios Motion Pictures. It is the sequel to 2011’s Captain America: The First Avenger and 2014’s Captain America: The Winter Soldier, and the thirteenth film of the Marvel Cinematic Universe (MCU). The film began principal photography in April 2015 at Pinewood Atlanta Studios in Fayette County, Georgia and the Metro Atlanta area, before concluding in Germany in August 2015. If you do not care about the open caption feature, Alamo Drafthouse is teaming up with Planet Comicon , Elite Comics , and Clint’s Comics to bring you the ultimate Civil War party on May 7! Free comics, cos-play, and trivia starting at 8pm! (on 13th, between Grand and Walnut) Remember to validate parking ticket at Alamo front desk and the $2 validation is good three hours. As you go up Main Street (north) pass Alamo on your left, then pass Cosentino’s on your right, you’ll pass a parking garage exit on the right after that. Take the next right, then another right, and you’ll see the parking garage entrance It says it’s for both events at The Midland and Cosentino’s. Sometimes there’s an attendant and you have to tell them you’re going to Cosentino’s, and they’ll let you in.